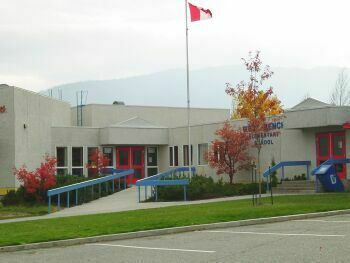 West Bench Elementary School, School District #67, 1604 West Bench Dr.
includes students and their families from the West Bench Regional District and the Penticton Indian Band. The West Bench student body is comprised of students representing culturally diverse backgrounds. The unique nature and needs of our students provides many opportunities to teach respect: respect for self, others, learning and the environment. We believe strongly in creating and maintaining a culture at West Bench that is welcoming, safe, and a healthy learning environment. Our 26 staff members (teaching, non-enrolling, itinerant and support) are dedicated to making West Bench a high quality school with respect to classroom and school activities. We provide a wide array of learning and growing opportunities for our students.